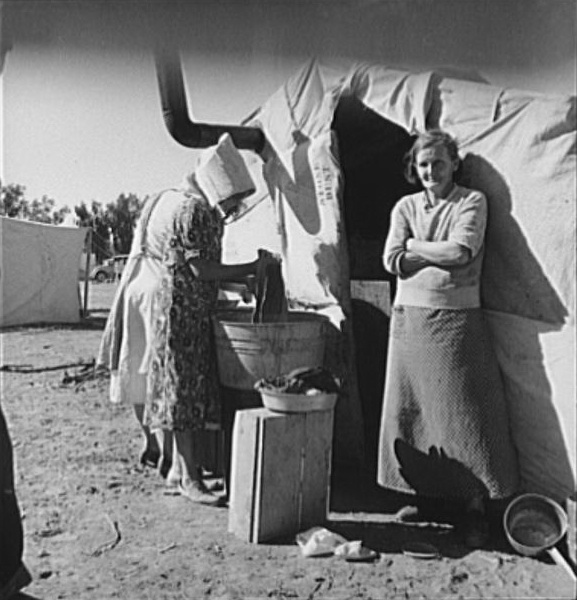 Home of Oklahoma Dust Bowl refugees in California. 1937. Photo by Dorothea Lange.